There are two types of cells in the thyroid; the follicular cells and c cells. Different cancers come from the different cells. The different cells determine the type of cancer, the extremity, and the type of treatment needed. A butterfly shaped gland in your neck, right above the collarbone. It creates hormones that help the the body function normally, for example, it regulates heart rate, blood pressure, body temperature and weight. 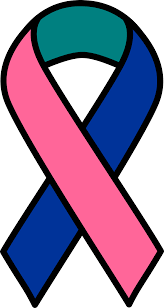 You are at a higher risk of thyroid cancer if you are Asian, a woman, 25-65 years of age, a family member has had thyroid cancer or disease, or if you have had radiation treatments to head or neck. It is the 8th most common cancer in the United States. Factors which cause the cancer. Some of the factors that may put you at a higher risk include, being a female, exposure to radiation, and genetics (cancer can be inherited). What are the tests that are done? The tests for diagnosis are physical exams, blood tests, imaging tests, and removal of sample of thyroid tissue. Imaging tests and removal of tissue are done with ultrasound scans. 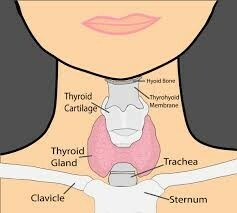 You're at greater risk for thyroid cancer if you are female, have been exposed to radiation, or it is in your genetics. There are several different tests a doctor can give to diagnose someone with thyroid cancer. There are physical exams, blood tests, imaging tests, and removal of a sample of thyroid tissue. The imaging tests and sample removal require ultrasounds. Doctors aren’t sure what causes most cases of thyroid cancer, so there’s no way to prevent people who have an average risk for the cancer.